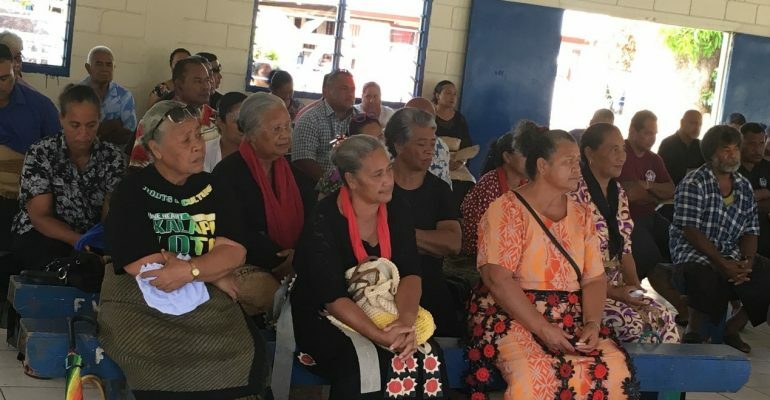 The collaboration between Tonga Skills and the Ministry of Agriculture, Food, Forestry and Fisheries continues today in Veitongo with the second training on immediate emergency food production for the Central and Nuku’alofa districts. An estimated 80 people attended the training and their main concern was about access to land and receiving the assistance on time to help in their recovery efforts. Officers from MAFFF’s Research Station and Livestock Division facilitated the training which will support the provision of seedlings, young chickens and equipment for land cultivation. The same training will be held on Friday in Lapaha for the Eastern District. It is anticipated that the same team will be providing the same training for the people of ‘Eua in the coming weeks.